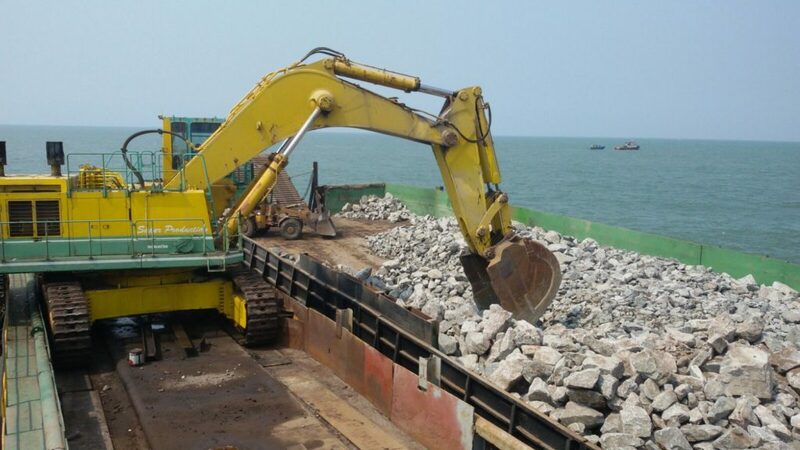 Reef Breakwater Construction at Ullal, Mangalore. Costruction of two offshore multipurpose artificial submered reefs to reduce coastal eroson at Ullal, Mangalore. Making the perfect base for the two (2) offshore reefs in necessary to increase the soil bearing capacity. Soil stabilization work below foundation of reef breakwater at depth of 15 to 21m below seabed was a challenge. DDIL deployed Cutter suction dredgers for levelling followed by ground stabilization work. 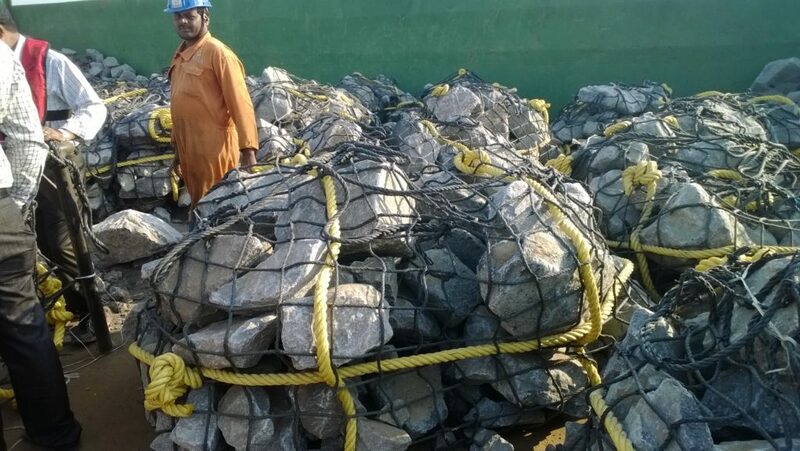 To stabilize the soil Geotextile and Geogrid were layed along with laying peripherally two rows of Gabion bags and tying them mutually adjacent and across the breakwater with Nylon ropes to arrest lateral movement of soft founding soil. 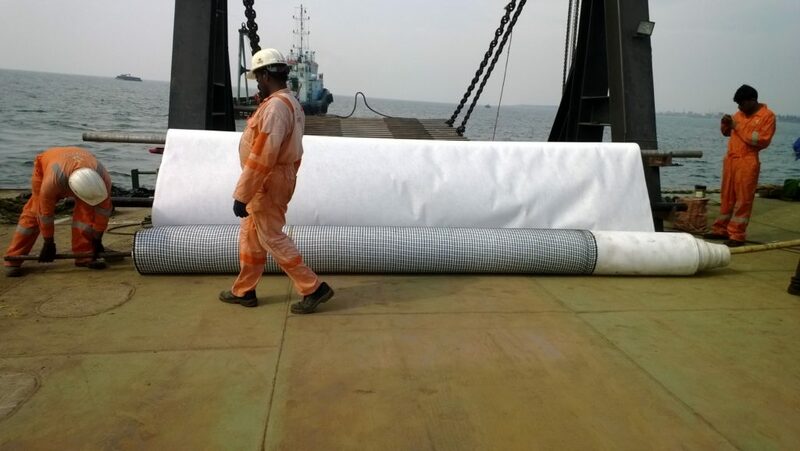 Geotextile laying in off-shore project is first time in India. Removal of soft soil through TSHD and transported to offload at designated offshore disposal located 10NM form the dredging location. Surveys conducted regularly at disposal area to confirm dumping done as per specifications of Employer. 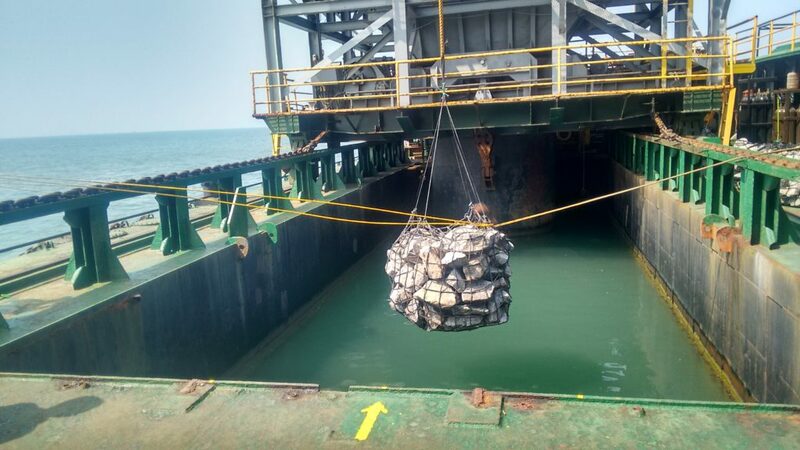 Removal of rock embedded in the stiff clay using Grab Drdger and loaded in to the split bottom hopper barges. Tugs towed fully loaded hopper barges to the dumping location and offloaded at designated offshore dumping location. Rock boulders of bigger size (greater than 5 M3) also removed.